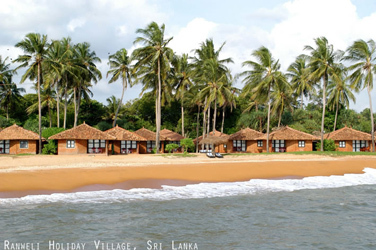 Ranweli Holiday Village is an eco-friendly resort located on a 22-acre peninsula where mangrove forests and winding rivers converge to meet the sea. Located only 18 km from Colombo�s International Airport, Ranweli is the perfect base to explore the fascinating history, culture and nature of Sri Lanka. 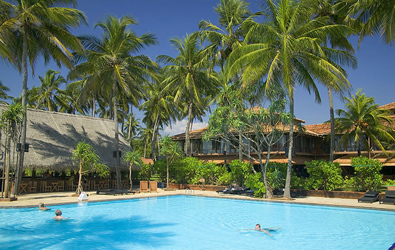 Ranweli offers bungalow-type accommodation constructed with local building materials, in a unique ethnic style resembling a typical Sri Lankan village. 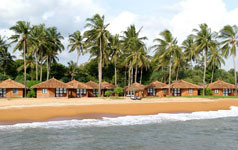 The 72 individual bungalows (sea view) and 12 river view rooms nestle within a forested environment and provide comfortable accommodation. The bungalows offer privacy and an excellent view of the sea and/or river � an exotic tropical setting for a peaceful holiday.